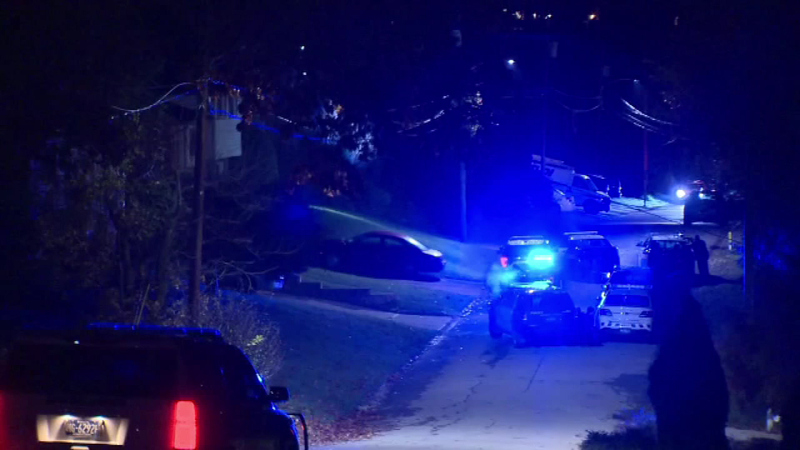 November 10, 2016: The shooting happened at about 4 a.m. in Canonsburg, Pa., 20 miles southwest of Pittsburgh. 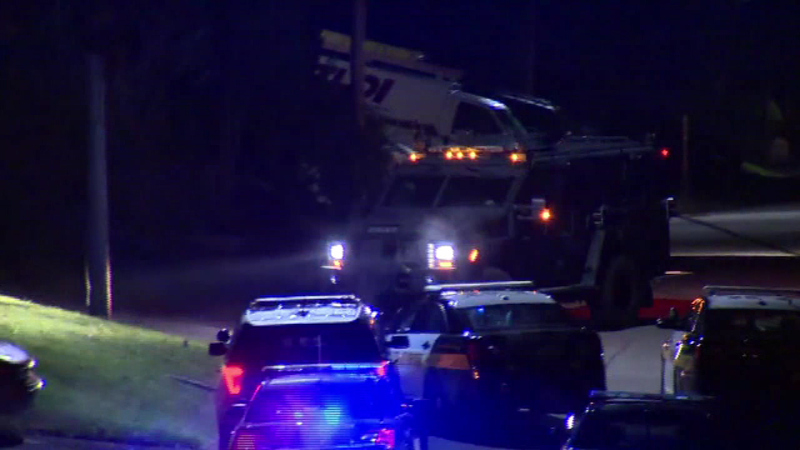 CANONSBURG, Pa. -- A man suspected of ambushing two Pennsylvania police officers responding to a domestic dispute, fatally shooting one and wounding the other, has been found dead along with a woman. Officials have not identified the man or woman. 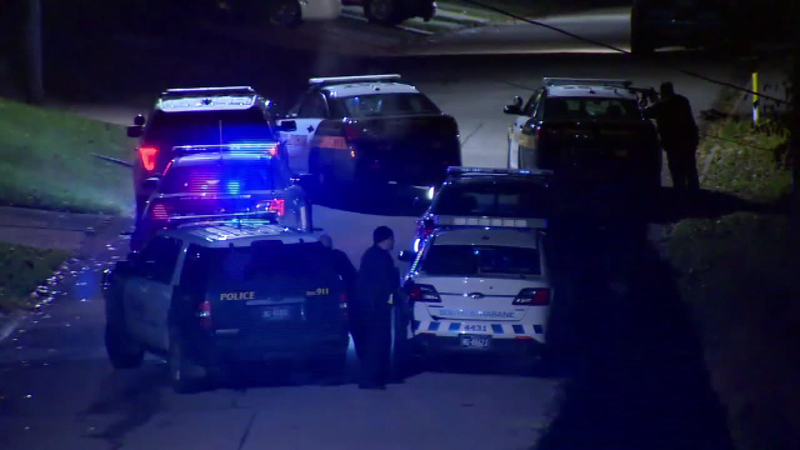 Police say the man died of a self-inflicted injury after shooting at the Canonsburg police officers, killing seven-year veteran Scott Bashioum early Thursday. 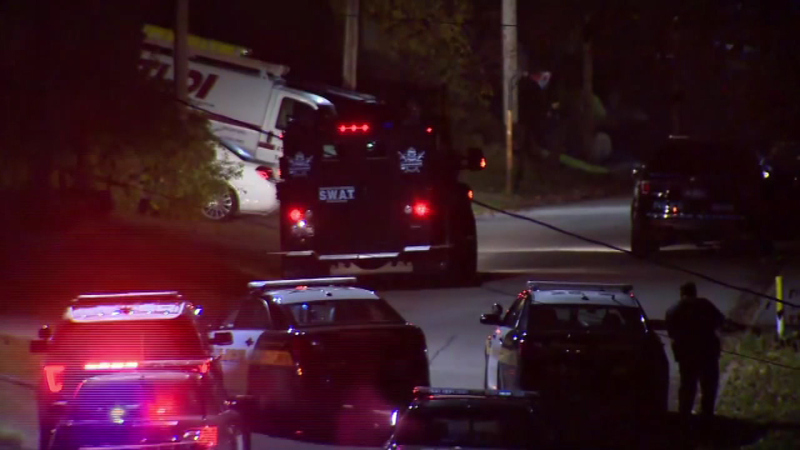 A man suspected of ambushing two Pennsylvania police officers responding to a domestic dispute, fatally shooting one and wounding the other, has been found dead along with a woman. The name of the wounded officer, who is in stable condition after surgery at a Pittsburgh hospital, has not been released. Police say there's no continuing threat to the public. State police Trooper Melinda Bondarenka told reporters the incident began at 3:14 a.m. when the Canonsburg officers responded to a report of a domestic dispute. The officers were "ambushed upon their arrival" and immediately shot, Bondarenka said. 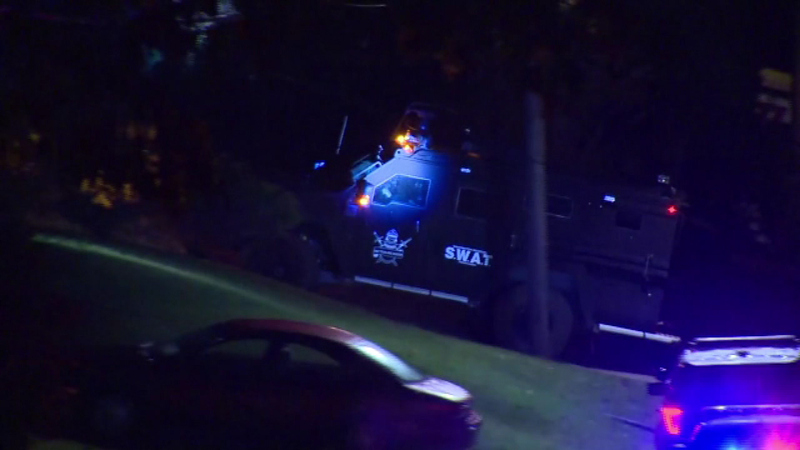 Police and SWAT teams were seen near at least two homes in the borough about 20 miles southwest of Pittsburgh. Neighbors tell reporters that police were often called to fights at the home where the shooting occurred. 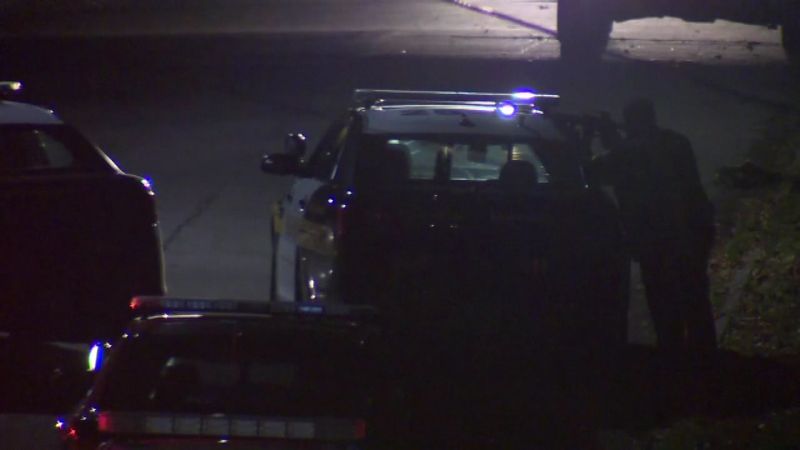 Police have said a woman in the home had a protection-from-abuse court order and the alleged gunman's defense attorney from an earlier incident has confirmed that information. The Canon-McMillan School District canceled classes Thursday because of the heavy police presence, and the nearby Chartiers-Houston School District was operating on a two-hour delay.